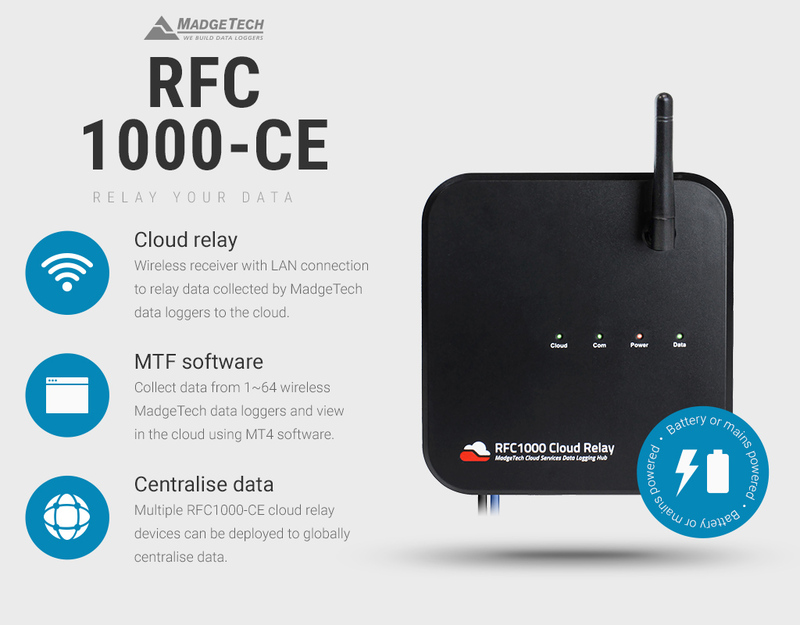 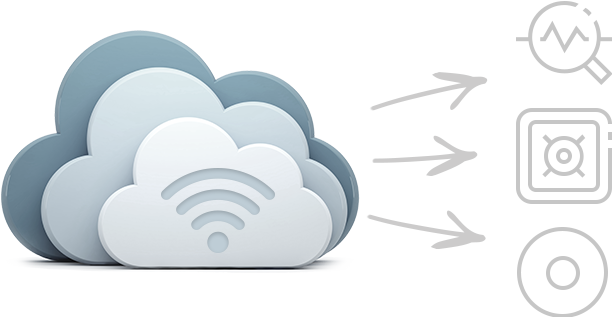 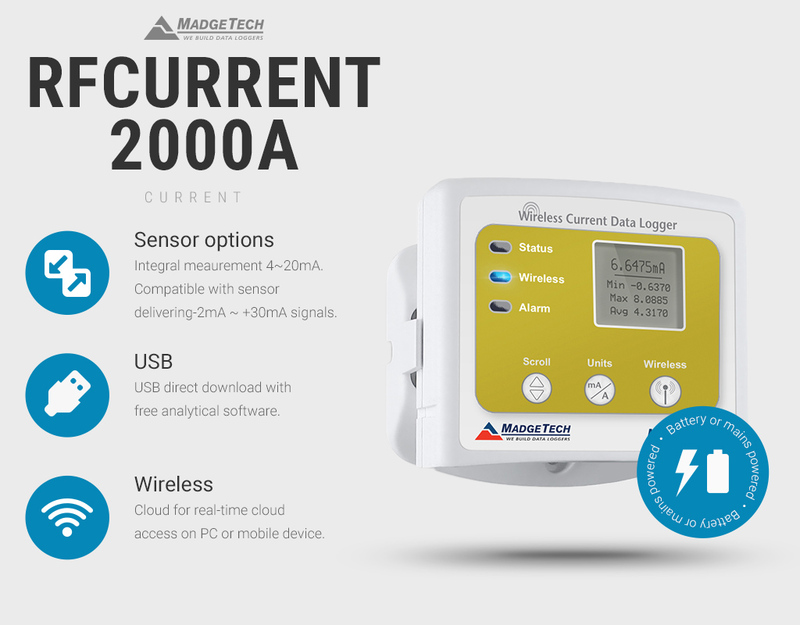 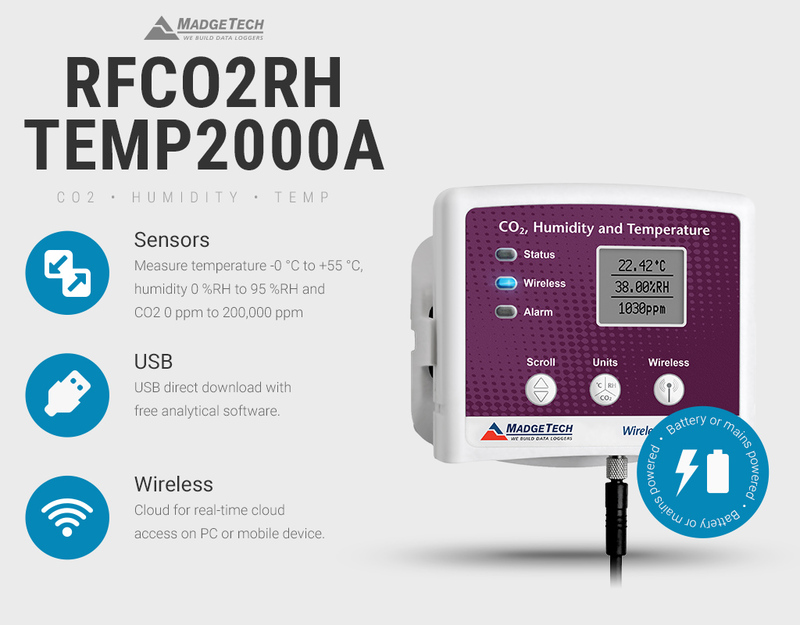 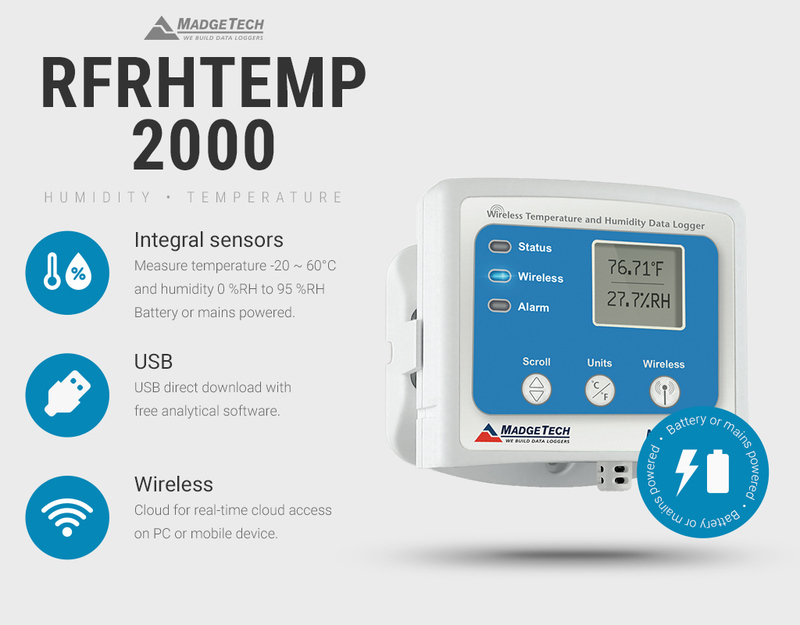 Discover a selection of MadgeTech battery powered wireless data loggers with cloud based logging that enable you to view your real-time data on any internet enabled device. 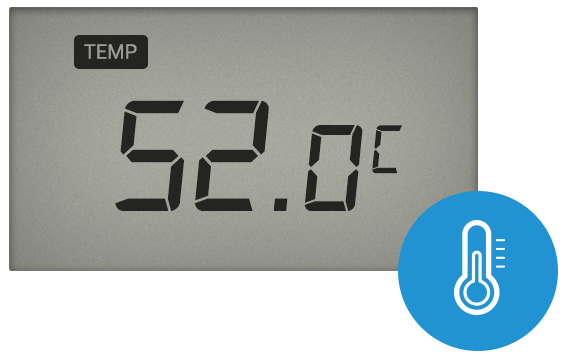  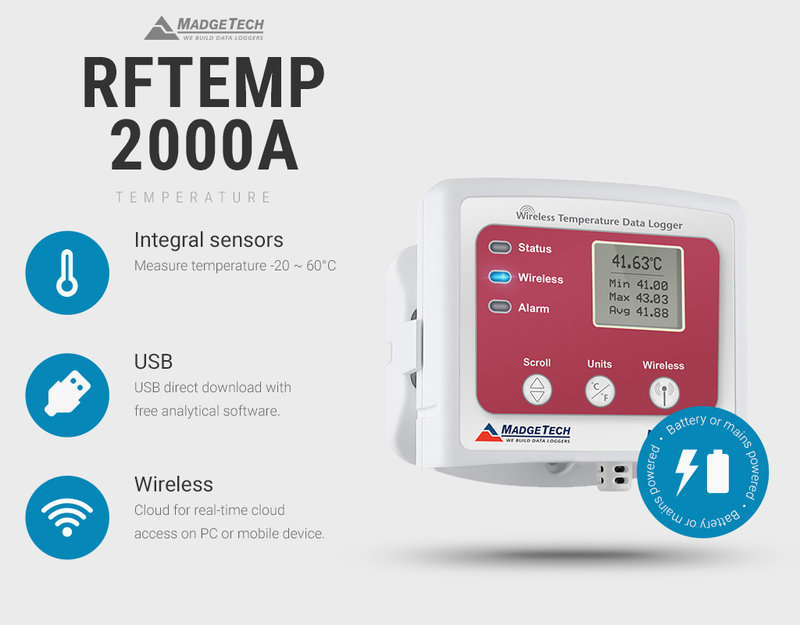 Select from wall or desk mounted temperature, humidity, Co2, pulse, voltage and current data loggers. 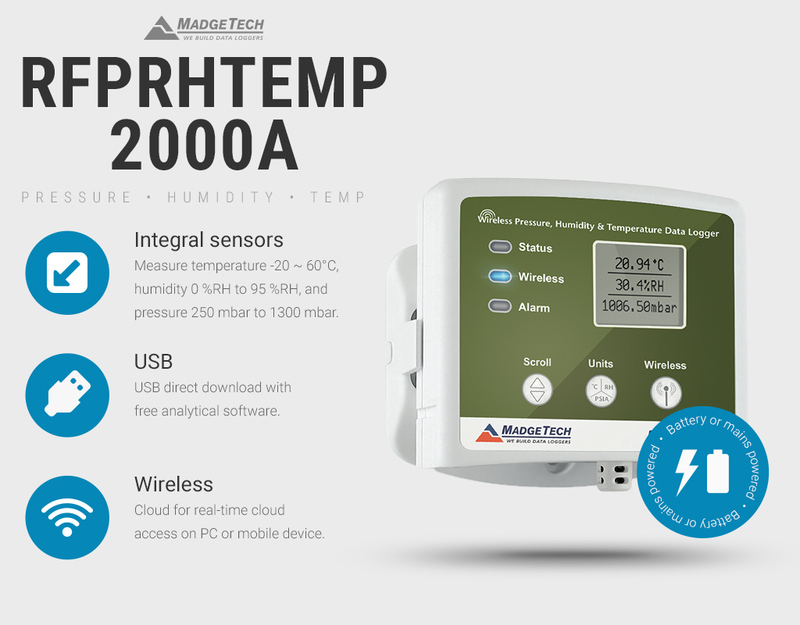 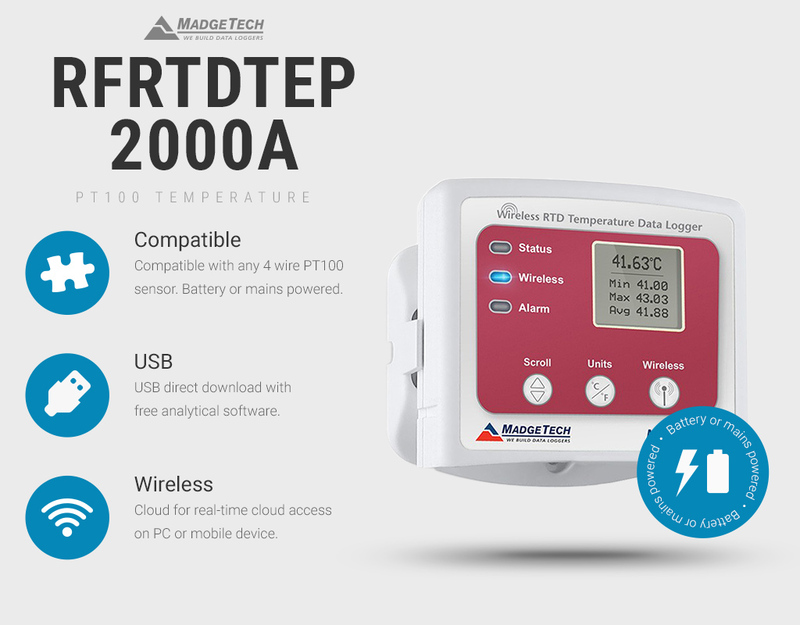 MadgeTech data loggers feature a clear LCD display that delivers real-time data, access status and statistics via the integral keypad. Integral audible data logger alarm and remote email alert functionality.